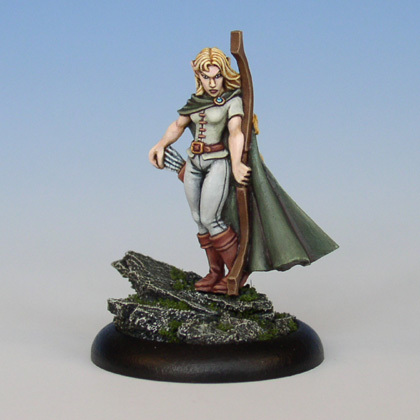 A classic model from Spyglass Miniatures with a lovely pose. Painting this figure I wanted to have another go at my technique for Setting the mood of a miniatures. On this miniature I have mixed Vallejo Model Color Turquoise into most colours used which gives an overall cold appearence. Turquoise was actually only used on its own on the gemstone on the cape and otherwise just used to tone down and 'equalize' the different colours on the miniature.